The MIMA, Middlesbrough Institute of Modern Art (MIMA) opened in 2007, in a building designed by Dutch architect Erick van Egeraat. The museum, which describes itself as ‘one of the UK’s leading galleries for modern and contemporary art and craft’, has the challenge of playing this role effectively in an area shaped by nineteenth-century iron production and twentieth-century decay. The Transporter Bridge over the Tees has become a symbol of the industrial decline of this northern English city. 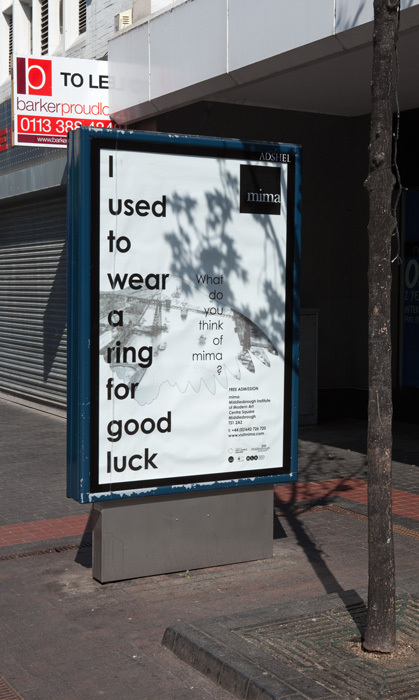 The MIMA was constructed in response to the city’s wish for a new monument that pointed not to Middlesbrough’s past, but to its future. 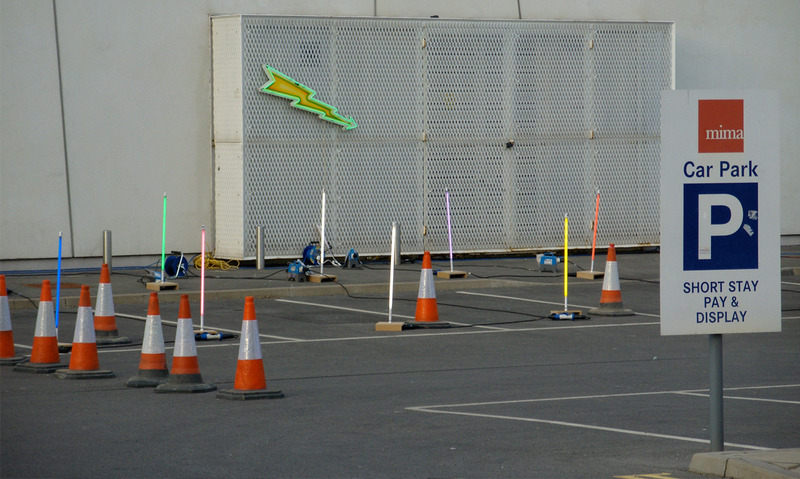 Meanwhile, it is apparent that the region still has more urgent priorities than the latest debates in contemporary art. 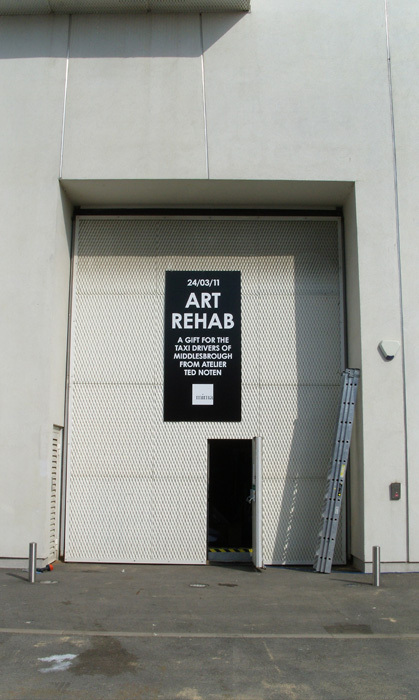 Against this complex backdrop, MIMA worked with Atelier Ted Noten to mount his project Art Rehab. 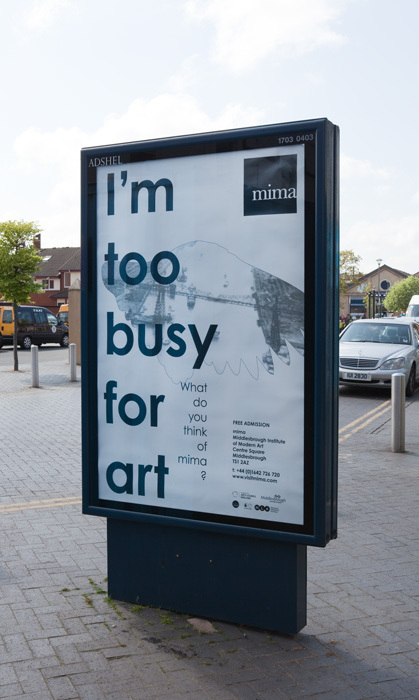 Noten felt it was essential to build a new, metaphorical transporter bridge between MIMA’s impressive collection and the social groups to whom the museum was a closed book. Everything fell into place when he came up with the idea of recruiting the city’s taxi drivers – some 400 ‘transporters’ in all – as ambassadors for the project. Noten interviewed the drivers and explored their ideas about art. 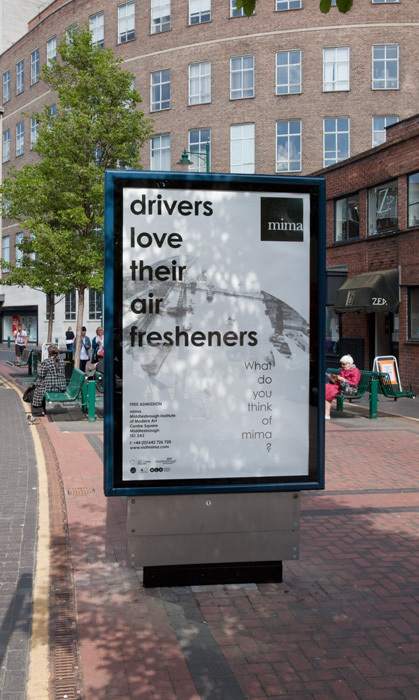 Quotes from the interviews were placed on posters that were plastered all over the city with the title ‘The Modern Jewel – In Time and the Mind of Others’. 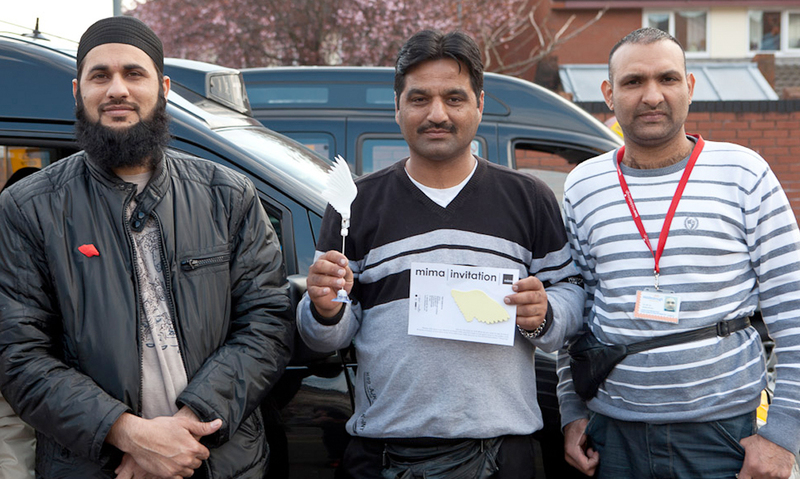 The cabbies acted as intermediaries, encouraging non-traditional visitors to visit the exhibition by striking up conversations with their passengers about art and the museum. They played the role of a modern-day Hermes, the mythological messenger of the gods. 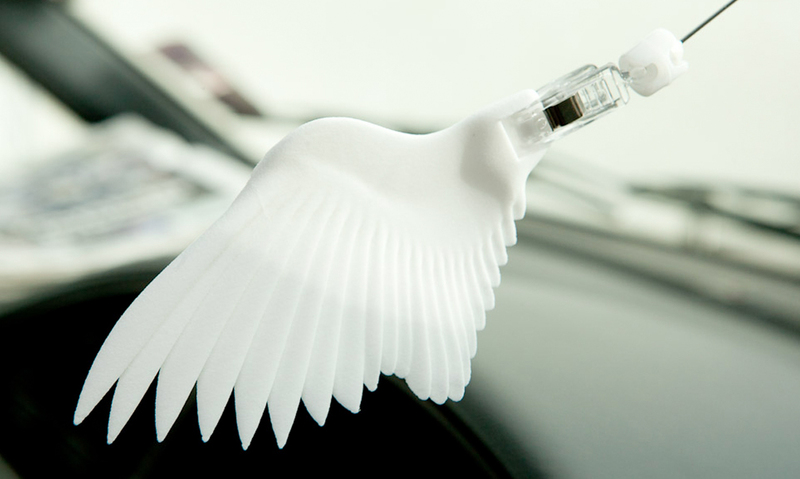 Noten provided a helpful conversation piece by creating an ornament for the taxis based on Hermes’s wings. 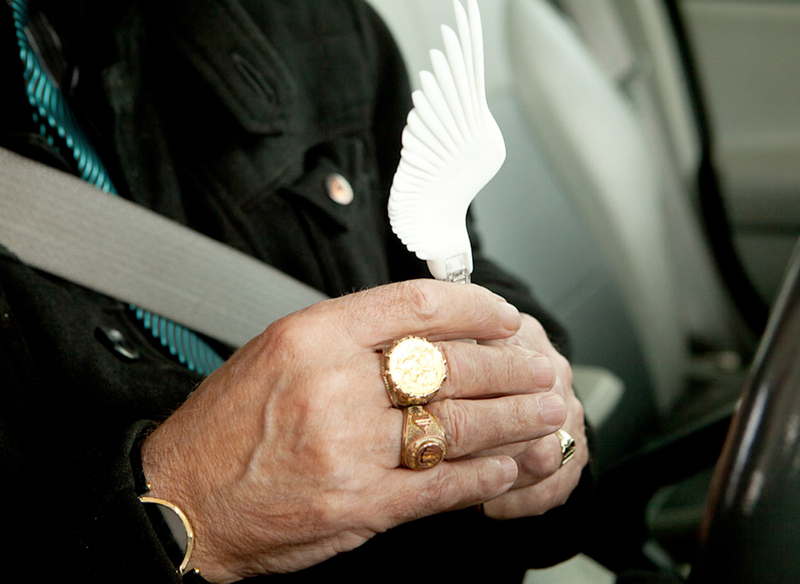 Every driver who agreed to participate received an ornament from the museum. And when the cabbies weren’t in a talkative mood, they could always fall back on the CD supplied to them. All they had to do was play it on the taxi’s sound system and the passengers would hear the whole story. 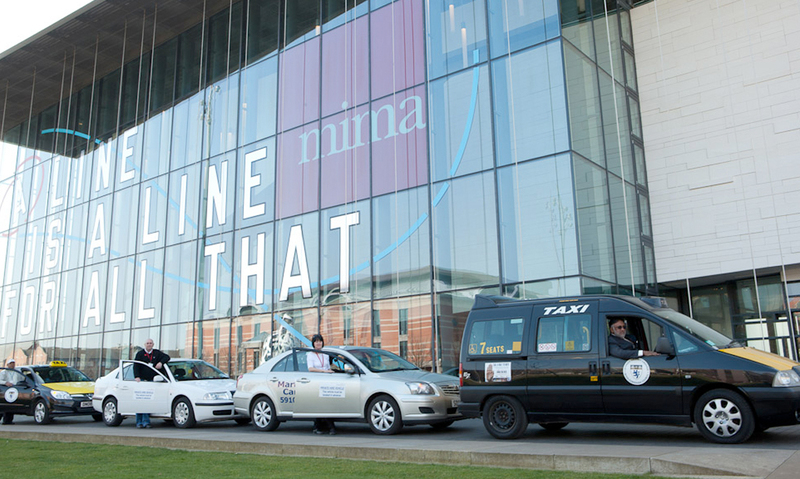 On the opening day of the exhibition, there was a tent in front of the MIMA with an impressive line of taxis driving up to register. 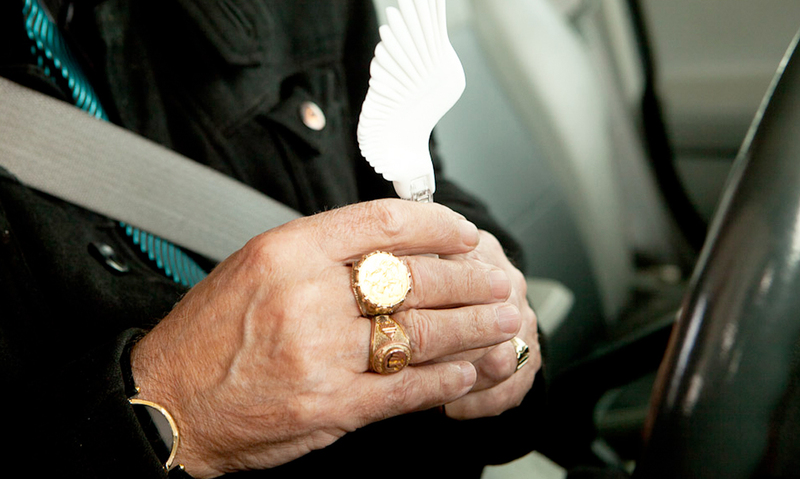 All the participants received one wing for the windscreen of their car and a smaller pin that they could wear on their clothing. Once fitted out with their ornaments, they had their pictures taken, and their portraits were hung on the museum’s Wall of Fame. Laden with a mountain of flyers, they then headed into town to do their jobs as cabbies and ambassadors. 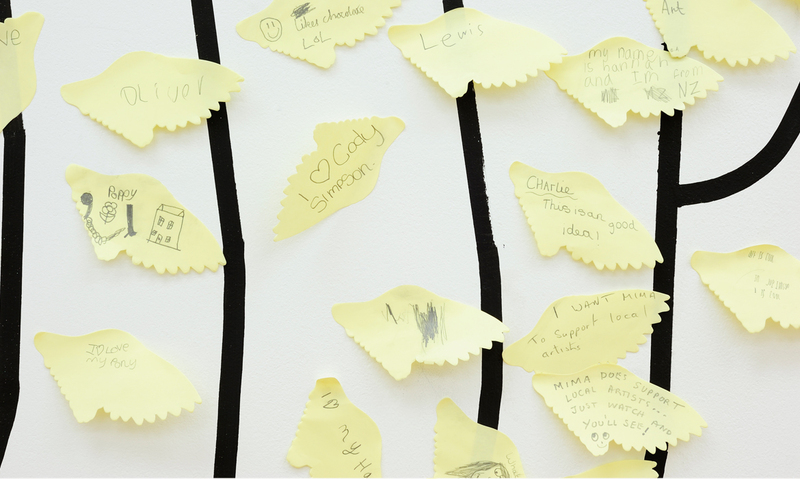 Passengers found a sticker in each flyer on which they could jot down their thoughts about the MIMA, and the comments were collected on one wall of the museum, framed by a large sketch of Hermes’s wing. 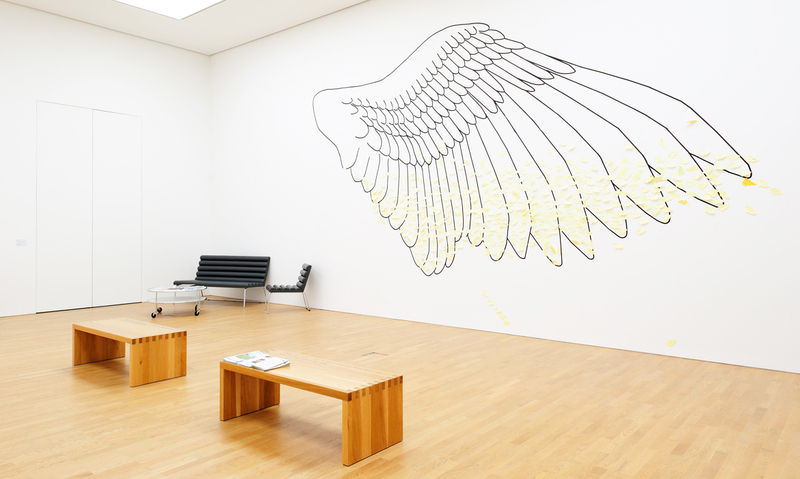 Noten also made a special version of the wing for the museum collection.